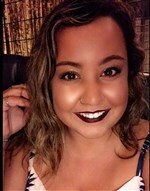 Charlotte Ada Jung, 23, of Rincon, Georgia, died Monday morning, January 14, 2019, at Candler Hospital from injuries received in an automobile accident. Born in Savannah, Georgia, she was a daughter of Stephanie Ann Halperin Jung Nash and Charles Edward Jung, Jr. Charlotte Ada was a member of Congregation Bnai Brith Jacob. She earned her Associates Degree in Dentistry from Savannah Tech. Charlotte Ada was the Business Administrator for Heartland Dental in Pooler and was a part-time lifeguard. She loved her family, especially being an aunt, and also enjoyed Country and Western music and concerts. Survivors include her mother and step-father, Stephanie Jung Nash and Jeffrey Nash; her father and step-mother, Charles Edward Jung, Jr. and Stacey Jung; one sister, Chelsey Halperin Jung and her children, Cayden and Caroline; three step-sisters, Brianna Jung, Brittney Nash and Jackie Nash; two step-brothers, Jeremy Jung and Steven Nash; her maternal grandparents, Richard and Vickie Halperin; her paternal grandmother, Sandy Traub; her paternal grandfather, Charles Edward Jung, Sr.; her maternal great-grandmother, Maria Castanet; her aunts and uncles including Sydney and Robin Halperin and their children, Lauren, Emily and Evan; her great-aunts, great-uncles and cousins. The funeral service will be held at 3 o’clock Wednesday afternoon at the graveside, Bonaventure Cemetery, conducted by Rabbi Avigdor Slatus. Remembrances: Congregation Bnai Brith Jacob – 5444 Abercorn Street, Savannah, Georgia 31405. Stanley and I are so very sorry and are at a loss for worwords. You are all in our thoughts and prayers. Jerry and I are deeply sorry for your loss. I am so sorry for your family’s loss. Please know you all are in my prayers. To Charlie and Richard, both former classmates of mine, and to your families, Pam and I are so sad to hear of your loss. May God comfort you during these difficult days. We will keep you in our thoughts and prayers. To Sandy and Charlie, My sincere condolences for this tragic loss. I know your hearts are broken. So very sorry.